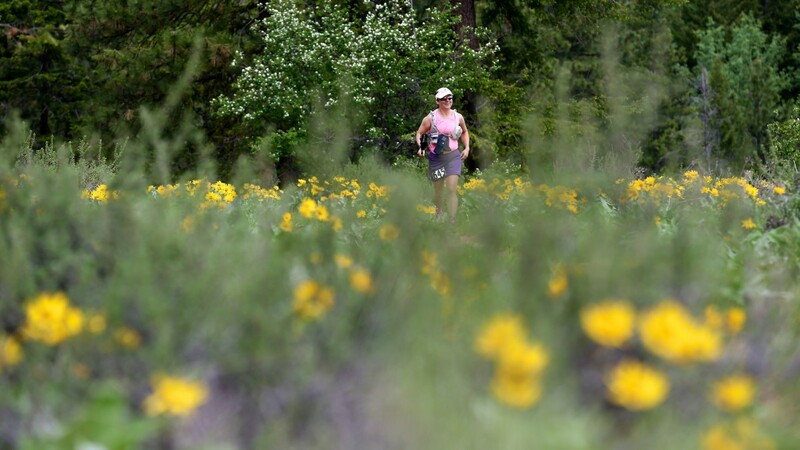 Located on the eastern, and sunny side of the North Cascades - on the edge of the Chelan Sawtooth Wildereness, above the Methow River Valley - these courses offer great mountain trail running early in the year. You can expect fields of wildflowers, beautiful, snow-capped peaks of the Cascades in the distance, and stunning single-track. In partnership with Methow Trails and Sun Mountain Lodge, we are happy to offer a well supported and scenic race. The 50K is a loop course and takes place on Saturday May 19th, 2018. The 25K will take place on Sunday, May 20th. We will also offer a Kids 1K on Sunday morning before the 25K. With ~4800 feet of elevation gain, this is a good entry level 50K event. The start and finish area has moved to the Patterson Lake Cabins (just next door to the old start/finish line). Runners will finish right on the lawn in front of the lake which will be perfect for cooling yourself off when you complete your race! As with any Rainshadow race, there will be plenty of wood-fired pizza, craft beer, and live bluegrass music to soothe those tired muscles!